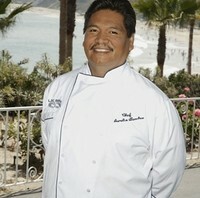 Great Taste Magazine 2009 July August Issue features Chef Aurelio Sanchez and culinary news, tips, recommendations and recipes from Orange County restaurant chefs. In this issue, we explore a variety of small dishes that easily exceed their expectations. For a new read, check out The Everything Tapas and Small Plates Cook Book, written by Lynette Rohrer. This book has everything you can imagine to please any crowd. Perfect for these summer months, our Produce Pick of the Month is Brentwood Yellow Corn. This sweet yellow corn can be added to many dishes such as salads, salsas, pizzas, entrees, and don’t forget the best way, straight off the cob. Our Cheese Pick of the Month is Rogue Creamery’s Smokey Blue. Originated in a small Oregon town, this cheese is big news. Named Best New Product in the World, the Smokey Blue is unique in flavor and versatile in dishes. Chef Kate Averill fills us in on how she became the Corporate Pastry Chef for the Balboa Dessert Company in The Baking Rack, and explains the differences she had to deal with once she became big’ time corporate. Our Sur Le Menu for this issue is all about lamb. Whether it has been slow roasted, braised, stewed, seared or baked, lamb is a big hit these days on the menu. Check out the different styles of lamb from the local restaurants we’ve gathered, and let us know your favorite! 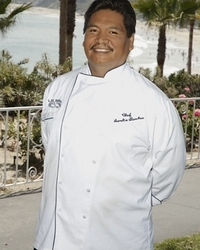 This issues Featured Chef of the Month is Chef Aurelio Sanchez. 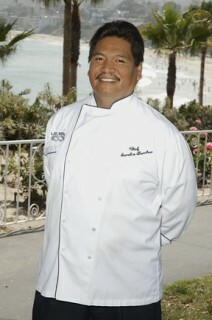 Chef Sanchez started small when he first came to America at sixteen years old. But with a lot of hard work and dedication, he was able to make it big. Lastly, check out some small plates with swagger we’ve added to this issue. Ice cream cones with beef? Caviar on trees? Eating sushi off of a body instead of a plate? You’ll have to keep reading to find out how we finished this issue with a bang! Great Taste Magazine 2009 July August Issue covers the restaurants and the professionals with resources, recipes, beautiful photos and many tasty tidbits. Great Taste Magazine, the premiere connection to all the key decision makers in our local Southern California restaurant industry. Each month our 15 year-old full-color trade publication reaches thousands of the area’s top restaurant owners, general managers, executive chefs and buyers. Take a tour through the magazine. Each issue features a restaurant and local chef, and is packed with the timeliest information, critical operational tips and other industry news important to our readers.